Which poison was used most frequently in Agatha Christie's novels? How many of her novels featured a butler? Exactly where on the train were the suspects located in Murder on the Orient Express? How many actors have portrayed Hercule Poirot? simply the most comprehensive guide to the life and works of the immortal Dame Agatha Christie. sixty illustrations, including book covers, shots from movies, and stage productions. Whether you've read every title in the giant Christie canon, or are just discovering her writing, The Complete Christie reveals in delectable detail why the mystique, fascination, and brainteasing fun of the mysteries penned by the century's most successful writing remain forever undiminished. Agatha May Clarissa Miller was born at Ashfield, the family home of Frederick Alvah Miller and Clara "Clarissa" Miller (née Boehmer), in Torquay, England, on September 15, 1890. Her father was an American who had business connections to both America and England, and her mother was the niece of Frederick's stepmother. The family established firmer ties to the United States with their decision to move to New England from Torquay in 1879 shortly after the birth of their first child, Madge. While in America in 1880, Clara gave birth to their second child, Monty. Soon after, the family set off for England again, but Frederick was forced by business to return across the Atlantic, and suggested that the family continue on to Torquay and rent a house. Upon his return, however, Frederick learned that Clara had actually purchased a house, Ashfield, and, despite initial plans to sell it after a time and return to America, the Millers decided to remain at the home and become permanent residents in England. The third child of the family, Agatha grew up essentially an only child. Madge and Monty were much older than she was and were away at school most of the time. Her early education was at home, and her parents initially were worried that she might be developmentally challenged because of her severe shyness. This concern was proven groundless as Agatha soon displayed much of the curiosity and love of learning that characterized her later years. The happiness of her youth was shattered, however, in 1901, when Frederick died. It was a severe a blow to the family, both from a personal and a financial standpoint. It became necessary, for example, for Agatha's mother to rent out Ashfield from time to time to make ends meet, meaning that she and Agatha would travel under very austere circumstances during the times when Ashfield was occupied. Her mother made certain that Agatha received a suitable education, and, in 1906, she was sent to Paris to attend a finishing school. While there, she earned a reputation as a gifted singer and showed a talent for music. There was, in fact, some discussion about the possibility of Agatha's becoming a professional singer, but the notion did not long endure. Throughout her long life, she retained a love of music and an ability to play the piano. An attractive and intelligent young woman, Agatha became the recipient of a number of marriage proposals. She declined all of them until 1912, when she accepted the offer of a major in the Gunners (Artillery). The very next year, she met the dashing Captain Archibald Christie, who swept her off her feet at a party. He was a guest at Ashfield a few days later, making a grand entrance on a motorcycle. Within a short time, she accepted his offer of marriage and sat down to write the painful letter to her first fiancé announcing the cancellation of their planned wedding. On Christmas Eve, 1914, Agatha and Archibald were wed. Two days later, Archie was sent off to fight in World War I. While Archie was away, Agatha volunteered in a local hospital as a nurse and was eventually moved to the hospital pharmacy and dispensary. There, she encountered many of the poisons that were to be featured in her later writings and even gained firsthand knowledge of at least one possible plot for a murder (see The Pale Horse, page 115, for details). By 1916, she had decided to try her hand at writing and had been working on a mystery novel. Partly to alleviate the boredom of being a war wife and also because she seemed to have a natural gift for plotting out the details of a novel, Christe stayed at her book. The result was The Mysterious Affair at Styles. After submitting it unsuccessfully to several publishers, her first novel found a home at John Lane and was published in 1920. Owing to the terms of her contract, she made virtually no money from the book, and she remained initially uncertain whether a writing career was feasible. After Archie's return and the end of the war, the Christies settled in London, where Archie took a position in a bank. In 1919, Rosalind Christie, Agatha's only child, was born. Christie continued writing, and in 1922 her second novel, The Secret Adversary, was published. It was written mainly to assist with the upkeep of Ashfield, although Archie encouraged her in her writing. She soon signed with the literary agents Hughes Massie, Ltd., and, before long, her unprofitable and draconian contract with John Lane was terminated. After that, she was signed with the ambitious publisher William Collins Sons and Co., Ltd. Her first book with them was The Murder of Roger Ackroyd (1926), one of the most breathtaking, innovative, and popular mysteries of the twentieth century. Her relationship with Collins endured to the end of her life. Agatha dedicated her third novel, Murder on the Links (1923), "To my husband," and noted in her autobiography that she was "happy" during this period. Strains began to appear as early as 1924, however, stemming at least in part from Archie's obsession with golf. By 1926, there was considerable distance between Archie and Agatha, so much so that Agatha took a holiday to Corsica without him in the early part of the year. It proved a portentous beginning to a very dramatic year. Upon returning home, Agatha learned that her mother was seriously ill with bronchitis. Clara Miller died only days later, and Agatha faced the disaster alone, as Archie was away in Spain. He returned to England, learned of the death of his mother-in-law, and promptly set out again. Even after he came back, he still stayed away from Agatha, preferring to remain in London or at the recently acquired family home in Berkshire, Styles House. 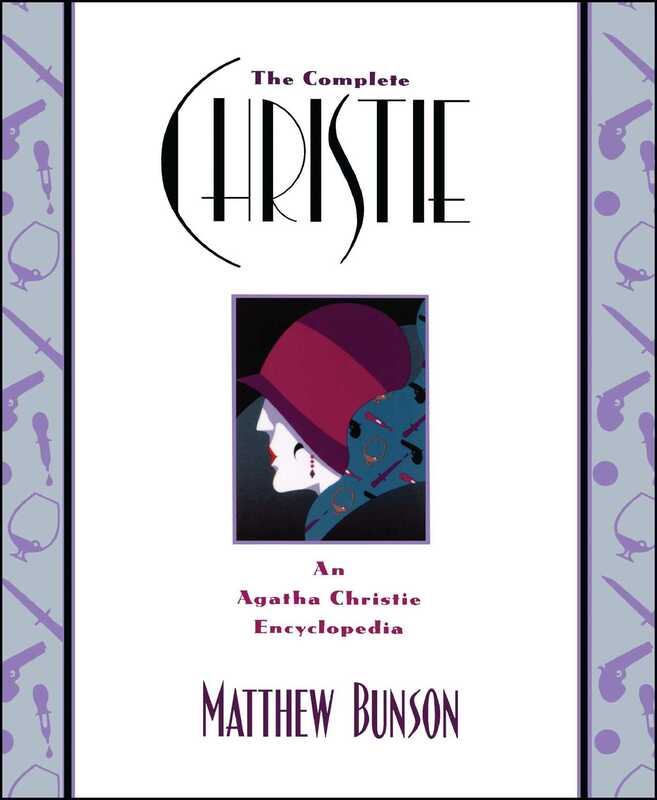 In the midst of this tragedy, Christie earned national acclaim with the June release of The Murder of Roger Ackroyd. She was still recovering from her mother's death when Archie made the announcement that he wanted a divorce. He had fallen in love with another woman, Nancy Neele. Out of consideration for Rosalind, Archie moved back to Styles House for an attempted reconciliation. As Christie wrote in her autobiography, it was "a period of sorrow, misery, heartbreak." By early December, the reunion was over. Archie announced that he was leaving again, this time for good, to be with Nancy. The episode that followed still remains a mystery. One day, Agatha Christie returned home to Styles House and discovered Archie gone. She then packed a bag and drove away. Her car was found the following morning over an embankment at Newlands Corner, Berkshire. The hood was up and the lights were on; inside the car was a fur coat and a suitcase, as well as Agatha's expired driver's license. The police subsequently issued a missing person report, a news flash that gripped the imagination of the country, especially as Roger Ackroyd was still one of the best-selling books of the year. The Daily Mail offered a reward of one hundred pounds for Agatha's discovery and police everywhere were on the lookout for her. The uproar ended unceremoniously when the reward was claimed by Bob Tappin, a musician at the Hydro Hotel in Harrogate. He recognized Christie as a guest (she was registered under the name Teresa Neele) and claimed the money. Police and Archie Christie raced to the hotel. After meeting with Agatha in private, Archie made a public statement that his wife "has suffered the most complete loss of memory and does not know who she is." This was the position reiterated in public statements by the author. The matter is still a "mystery, with no complete answer given to the disappearance's many nagging questions. Christie herself did not touch upon the matter in her autobiography, and the closest thing to an official statement made by her about it in later years was published in Janet Morgan's authorized biography. Morgan, who had access to many papers unavailable to other writers, supported Christie's original claims of amnesia. The disappearance of Agatha Christie remains one of the most intriguing episodes in the eventful life of the author. As she never addressed the issue publicly, Christie's precise activities during her several missing days served as fodder for rumor and theory, and the amount of gossip and speculation, combined with the vicious treatment she received from the press left Christie understandably reluctant for the rest of her life to deal with the media and to have her private life once more the subject of ridicule and scandalmongering. There was, however, a continuing interest in the disappearance, with researchers and writers attempting to piece together the author's activities. A fictional account of the disappearance was penned in 1978 by Kathy Tynan (with an adaptation to film in 1979, starring Vanessa Redgrave and Dustin Hoffman). Another theory was recently offered by Jared Cade in his Agatha Christie and the Eleven Missing Days (1998). He postulated that the disappearance was a calculated effort by Agatha to humiliate her husband, Archie. The theory was rejected forcefully by Mathew Prichard, the dedicated defender of his grandmother's memory. During the period of recovery from the trauma, Agatha lived at Styles with Archie, but their marriage was at an end. She finally granted him, albeit reluctantly, a divorce. By the end Of 1927, after a long period of writer's block, she was back at work. Her divorce was finalized in 1928, and Christie was able to make a joke about the entire ghastly affair in the dedication of The Mystery of the Blue Train by giving praise to members of the "O.F.D." (Order of the Faithful Dogs). She considered the divorce to have been an "acid test" for her friends. Those who remained devoted were members of the O.F.D., while those who had abandoned her were made members of the Order of the Rats, third class. The two most conspicuous members of the Faithful Dogs, as noted in her dedication, were Carlo (her secretary, Charlotte) and Peter, her wirehaired terrier. In 1928, Christie also went to the Middle East and visited the archaeological dig at Ur. She became friendly with the dig director, Leonard Woolley, and his wife, Katharine. While on a second visit, she met Max Mallowan, the twenty-six-year-old archaeological assistant to Woolley. The two were married on September 11, 1930, in Scotland. Their marriage proved a genuinely happy one, lasting for forty-six years and ending only with Agatha's death. At the time of their union, Agatha was thirty-nine and Max was twenty-six. For purposes of her books, Agatha retained the name Agatha Christie, but, in private life, she always referred to herself as Mrs. Mallowan, and her nonfiction account of life on an archaeological dig, Come Tell Me How You Live, was published under the name Agatha Christie Mallowan. Max was a brilliant archaeologist, and Agatha happily devoted much of her time to working with him on his many digs in the Middle East. She became a bona fide member of the archaeological team, and recorded the details of her daily activities in Come Tell Me How You Live. Max's most important dig was at Nimrud, which began around 1949. As always, Agatha was at his side, assisting him for the next ten years. It was while at the dig at Nimrud that she first started work on her autobiography, at which laboring sporadically for fifteen years. In 1960, Max was honored with the rank of Commander of the British Empire, not for being the husband of Agatha Christie but for his many contributions to archaeology and to the advancement of our knowledge about the ancient world. He published a documentary history of the dig at Nimrud, Nimrud and Its Remains, in 1966. Two years later, Queen Elizabeth II knighted him for his work. Even as she assisted her husband -- and adored work on the digs -- Christie continued her staggeringly prolific writing career. She produced about one book a year and enjoyed an especially productive period during World War II, when she wrote such works as Sad Cypress (1940), One, Two, Buckle My Shoe (1940), Evil under the Sun (1941), N or M? (1941), The Body in the Library (1942), Five Little Pigs (1943), The Moving Finger (1943), Towards Zero (1944), Death Comes As the End (1945), Sparkling Cyanide (1945), and Sleeping Murder and Curtain, the two long final cases for Miss Marple and Hercule Poirot, respectively. Aside from its period of great productivity, the war brought to Christie the terrible uncertainty of the London Blitz and bombings by the Luftwaffe as well as a personal tragedy. Her daughter, Rosalind Christie, had married Hubert Prichard early in the war, and, in 1944, the young man was killed in the fighting. The grief of his death was relieved in many ways by the presence of Mathew Prichard, Christie's grandson, who had been born on September 21, 1943. Agatha loved her grandson, regularly sending him advance copies of her books while he was away at school and even giving him the copyright to The Mousetrap as a present for his tenth birthday. In 1949, Rosalind was married again, this time to Anthony Hicks, of whom Agatha approved most enthusiastically. In addition to her work on archaeological digs and her gargantuan literary efforts, Christie also enjoyed a career as a playwright. Her first play, Black Coffee, was staged in 1930 and starred the great actor Francis Sullivan. Christie never saw it, however, as she was in Mesopotamia at the time. It was the success of Ten Little Indians (1940) that convinced her to continue on as a playwright and sparked a period of much stage writing, which included Appointment with Death (1945), Murder on the Nile (1946), The Murder at the Vicarage (1949), and The Hollow (1951). These were, in many ways, mere preludes to her most successful play -- and one of the most successful and enduring plays of all time -- The Mousetrap. Her triumph was followed the next year by the immensely popular Witness for the Prosecution (1953). In 1956, Christie was given formal recognition for her place in literature and the arts. She was named a Commander of the British Empire. In 1971, she was declared a Dame of the British Empire by Queen Elizabeth II. That same year, she suffered a leg injury. It marked the beginning of a sharp decline in her health and her productivity. It is commonly agreed that her last two novels, Elephants Can Remember (1972) and Postern of Fate (1973), were not of the same quality as her previous works, and Postern of Fate proved to be her last original work. Later, however, Christie published her final Poirot and Marple novels, Curtain (1975) and Sleeping Murder (1976), which had been sitting in vaults since World War II. They were a fitting cap to an unprecedented literary career.